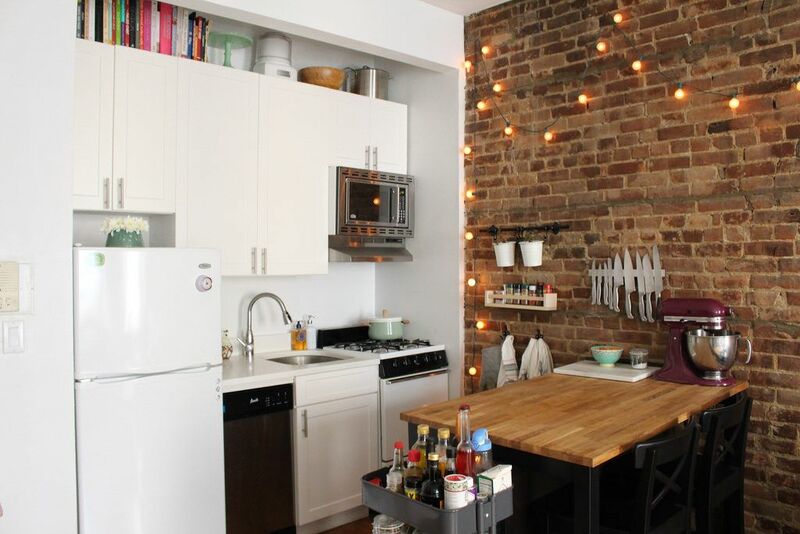 Your dream kitchen doesn't have to break the bank. Gorgeous photos of designer kitchens can be eye candy, but sometimes they can feel too impractical or out-of-reach for us mere mortals (you know, humans with real lives and real budgets to juggle), which is why our new book, Lovable Livable Home, is filled with real spaces that are as easy to live in as they are to look at—those things don't have to be mutually exclusive! 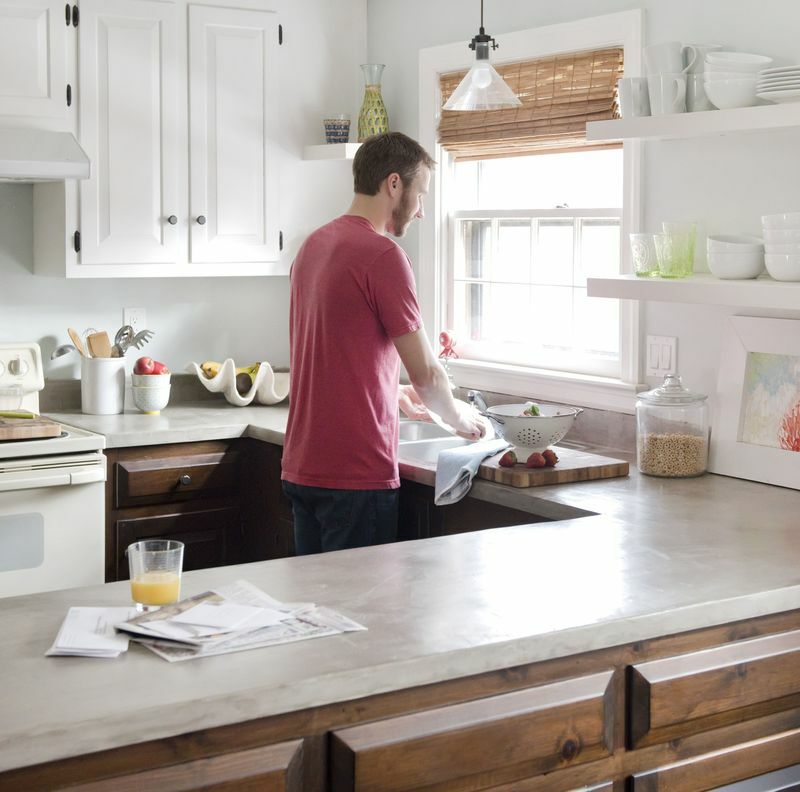 To help you sort through the abyss of good ideas, here are five kitchen design trends that you should not write off, because they can actually make your own kitchen prettier and more functional—and could even save you some money along the way. Combining different cabinet finishes and styles is an easy way to give a kitchen a distinct high-end look, but it's a risk that not every homeowner is willing to take. (What if I'm not so great at coordinating stain colors or door styles? Won't I have to rip it all out if I hate it?) Good news: Mixing and matching cabinets can be pretty easy if you keep things simple, like by choosing white for all of your upper cabinets and a rich dark wood stain or a soft color like gray for your lower cabinets. Plus, if you can't afford your favorite door style or custom color for the whole room, you can use it selectively on the island and choose something more economical for the rest of the room. Win-win. 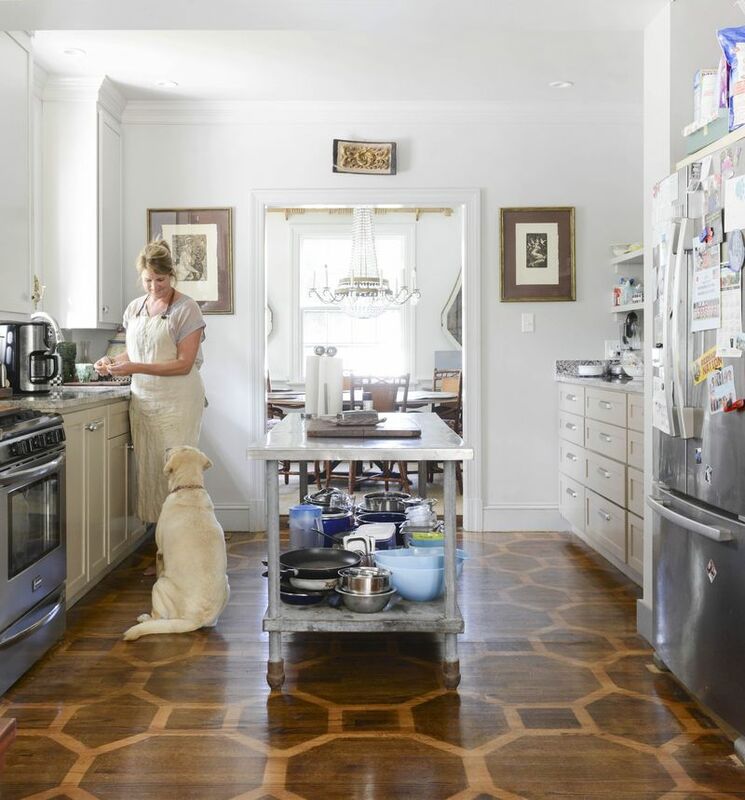 Designers are also upping the island ante by ditching cabinetry altogether—opting instead for freestanding farmhouse tables, rolling butcher blocks, or industrial metal carts. We noticed a ton of real families relying on these as we photographed many of the homes for our book and loved that they were not only visually interesting, but also super functional and cost-effective. For example, a store-bought rolling cart helps if you're tight on square footage but want flexible extra prep space. And an oversized table can earn you the same surface area, without the expense of extra cabinetry and counters. We're fans of the casual and airy look of open shelving in a kitchen, along with the added convenience of seeing everything you have at a glance (and lightning fast dishwasher unloading!) but we know some people are still hesitant to jump on this trend-wagon. 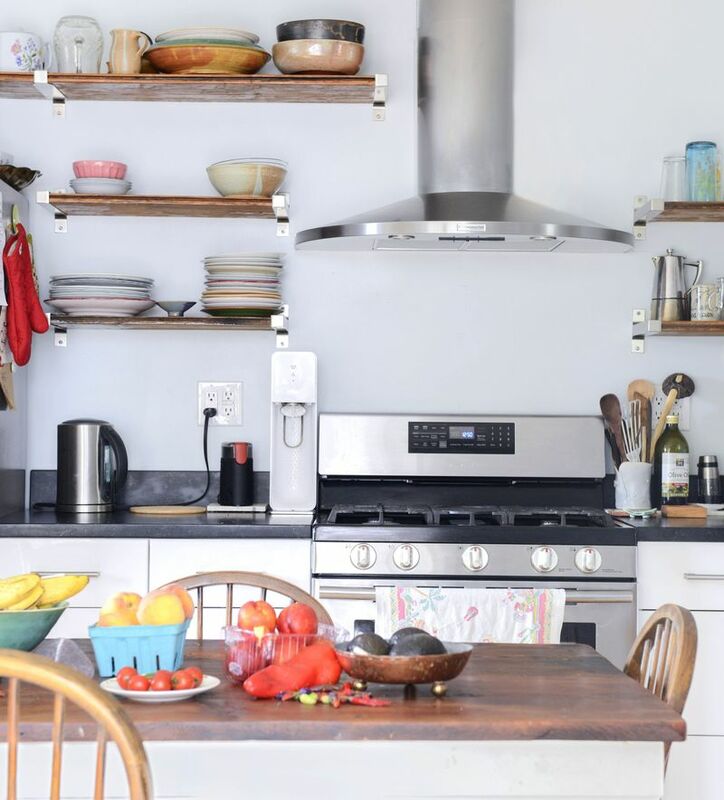 Open shelves are definitely not for everyone—some people love the coverage that cabinet doors provide—but they're certainly worth considering before you dismiss them as impractical. Beyond saving you the potential cost of buying more upper cabinets, open shelves encourage a certain amount of tidiness and simplicity (as opposed to the don't-open-that-cabinet-or-something-will-fall-on-you scenario). 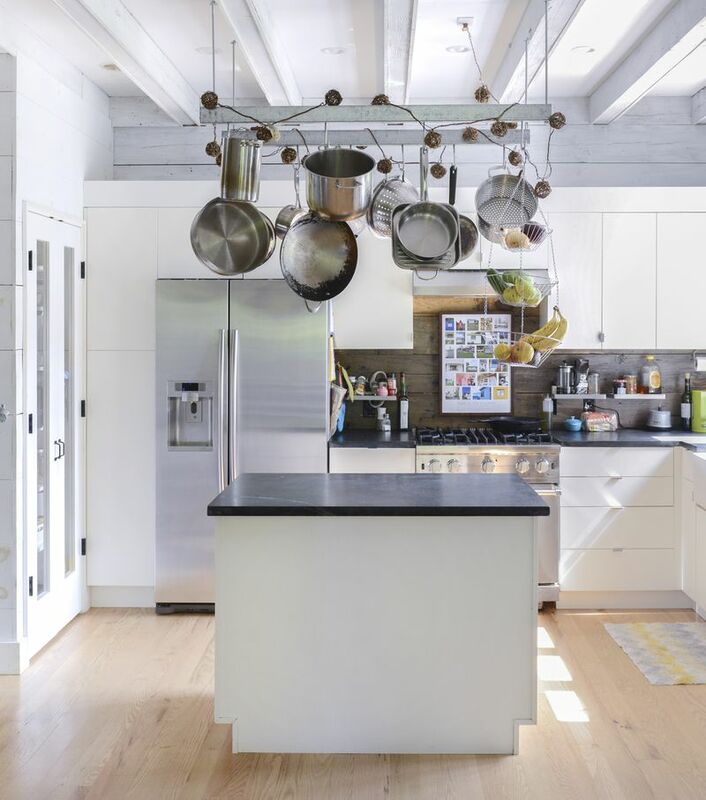 Many designers are moving away from sleek exposed stainless steel hoods and back towards options that are tucked behind wooden covers or cabinetry. While a truly custom hidden hood might be a budget-breaker, this trend-shift means more affordable upper cabinet options that incorporate a hood are making a comeback—which can save you some green and some headaches during the install process. And heck, you won't have to sacrifice your storage up there if you go with a cabinet-hood combo option. 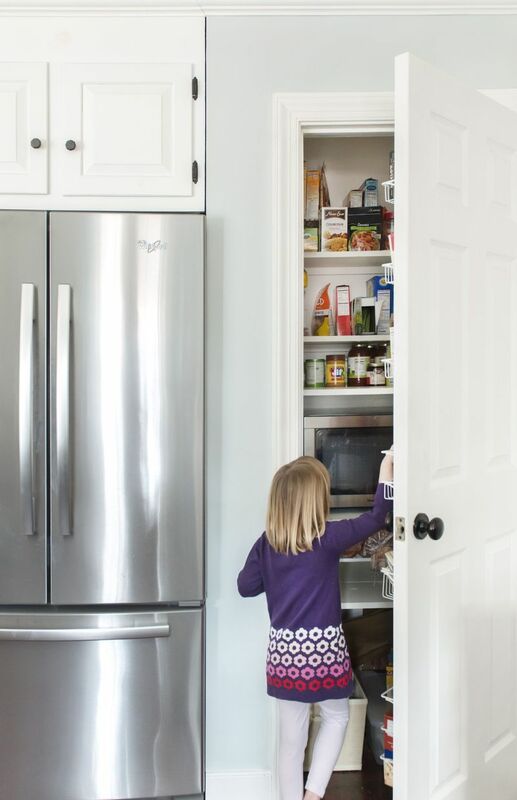 Is it just us, or are pantries getting bigger? You may not have a walk-in pantry where you can stash your coffee maker, extra freezer, and personal chef (kidding) but even small closets or large cabinets can act as a place to stash a less-than-attractive countertop appliance. By adjusting the height of our pantry shelves and adding an electrical outlet, we were able to stash our microwave in there—and we keep our pantry door open when we run it for added ventilation. We've also noticed people setting up their toaster or blender in more spacious walk-in pantries so they're always ready to be used, which has the added bonus of keeping their counters a lot clearer. What are the ktichen design trends you're obsessing over right now? Writers of the hit DIY blog Young House Love, John and Sherry Petersik just released a new book that's chock-full of great design tips: Lovable Livable Home. Beautiful photos! One comment about #2 (islands) - having been a boarding kennel tech, a veterinary assistant and a pet/house sitter, this picture or scenario would make me think twice about having dinner at this particular home. Most dogs with short, straight fur like Labradors shed like crazy, and it would be next to impossible to keep the dog hair out of the stacks of items on that lower shelf without nearly constant cleaning. Small dogs like your Chihuahua wouldn't be so bad, but that Labrador is the perfect size to leave tons of hair on and in between that kitchenware. I still plan on checking out your book - the dog in the photo does make for a more "liveable", "real life" image. Much better than all the staged, sterile photos seen in many home design/decor books!